Superdry women’s denim girlfriend jacket. 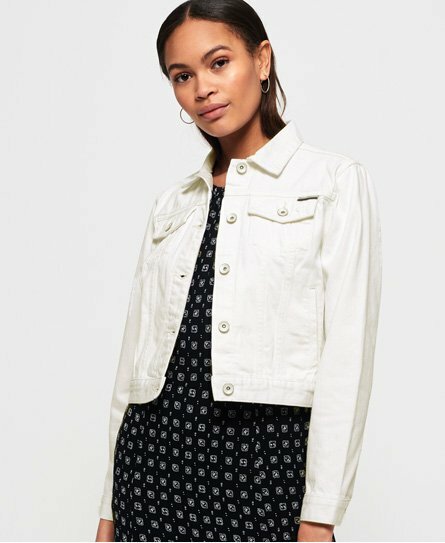 This girlfriend fit denim jacket features a front button fastening, four front pockets and button cuffs. The jacket also benefits from side adjuster straps for a more fitted look and is finished with a subtle, metal Superdry logo badge on one of the pockets.